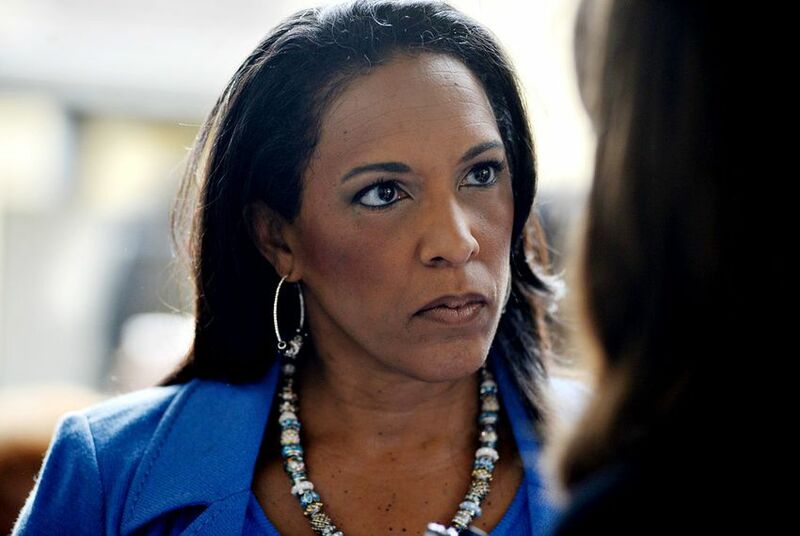 The State Auditor's Office is investigating whether state Rep. Dawnna Dukes improperly required her legislative staffers to participate in work for a nonprofit group that she founded, a Capitol source told The Texas Tribune on Friday. Editor's note: This story has been updated with additional response from Rep. Dukes. The State Auditor's Office is investigating whether state Rep. Dawnna Dukes, an Austin Democrat, improperly required legislative staffers on the state payroll to help work on an annual event she sponsors through a nonprofit group that she founded, a Capitol source told The Texas Tribune on Friday. The auditor's investigation follows complaints by members of Dukes' staff. Her former chief of staff, Michael French, asked House officials on Jan. 14 if requiring public employees to work on an event she sponsors in her district was appropriate. The next day, French said, he was blocked from logging on to his state computer account. French, who began work for Dukes on Oct. 14, said she told her staff in December to work on The African American Community Heritage Festival, an annual event she sponsors. "Of course they worked on it. Staff works on anything a member is involved with," Dukes, who has held her House seat since 1995, told the Tribune. Employees began questioning the festival work, and French said he asked a lawyer in the House Speaker's office if the type of work was appropriate. French said he was told the work violated state law – specifically a statute regarding abuse of office – and advised the employees to stop immediately. In late December, French said Dukes emailed staff, informing them to work on nothing else but the Heritage Festival. By January, he and other staffers were told to make phone calls to potential festival sponsors and to assist with the planning. Dukes said she is unaware of the auditor's investigation and does not believe asking her staffers to work on the festival violated any state law. "I don’t receive a penny from it, my office does not receive a penny from it, my campaign does not receive a penny from it," Dukes said. "It is a community event." Dukes responded extensively to French's claims in a Facebook posting Friday night. Michael Stiernberg, spokesman for the state auditor's office, declined to comment on the matter, as is the agency's standing policy regarding investigations. French told the Tribune he is meeting with an employee from the auditor's office on Monday. Dukes, who is unopposed in the Democratic Primary, will face a GOP challenger in the fall. Dukes was noticeably absent during the 2015 Texas legislative session because of an Aug. 1, 2013 car accident. The issue of House staff work rules last surfaced in 2013 when John Higgins, then chief of staff for former state Rep. Tim Kleinschmidt, R-Lexington, was indicted by a Travis County grand jury for falsifying travel reimbursements. The Travis County district attorney's office investigated the matter after the state auditor's office alerted them to "irregularities" with travel reimbursement forms. Higgins insisted he had done nothing wrong, saying that former employees had signed his name to the travel documents.